Mustering the troops for tonight’s cookery. No honey? 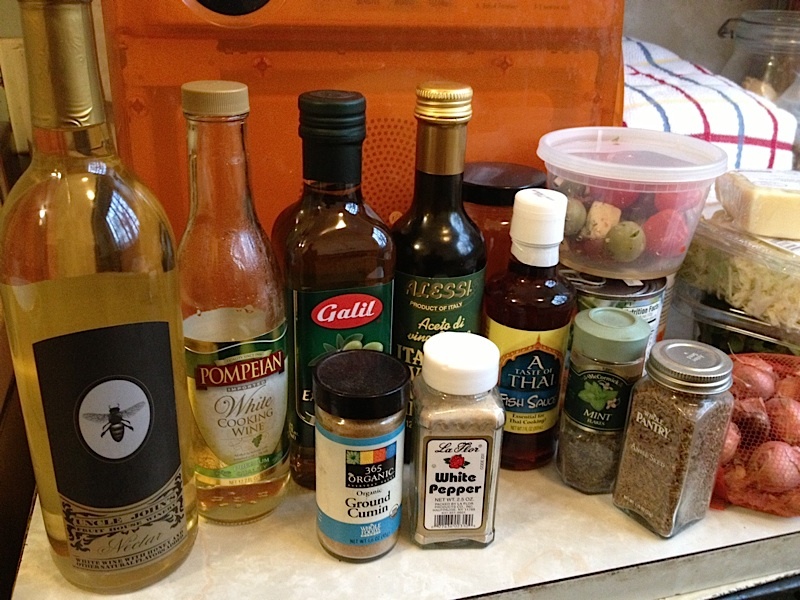 Easy solution: use the honey wine. I used 2 15-ounce (425g) cans of apricots in light syrup, drained and rinsed off, because I couldn’t find fresh apricots, because, to be honest, I didn’t look very hard. But to find the canned apricots, I had to excavate through to the back of a bottom shelf behind a cart and many cans of peaches, so I feel like I worked hard to harvest these. I added 1/4 pound cubed ham. I’m not sure how I feel about it. Thicken with a small amount of spelt flour. 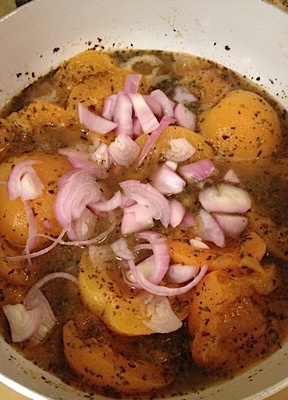 Stew until the apricots are tender, and/or until all the flavours have had a chance to blend. Serve hot. Serves 2 to 3 people. 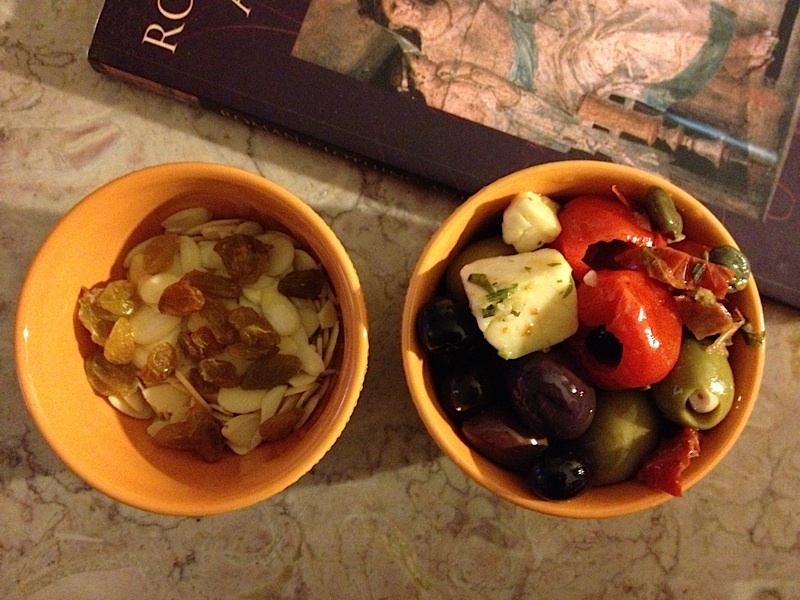 Sides: diced almonds with golden raisins; mixed olives—kalamata, stuffed with garlic, stuffed with feta—plus peppers and cheese. 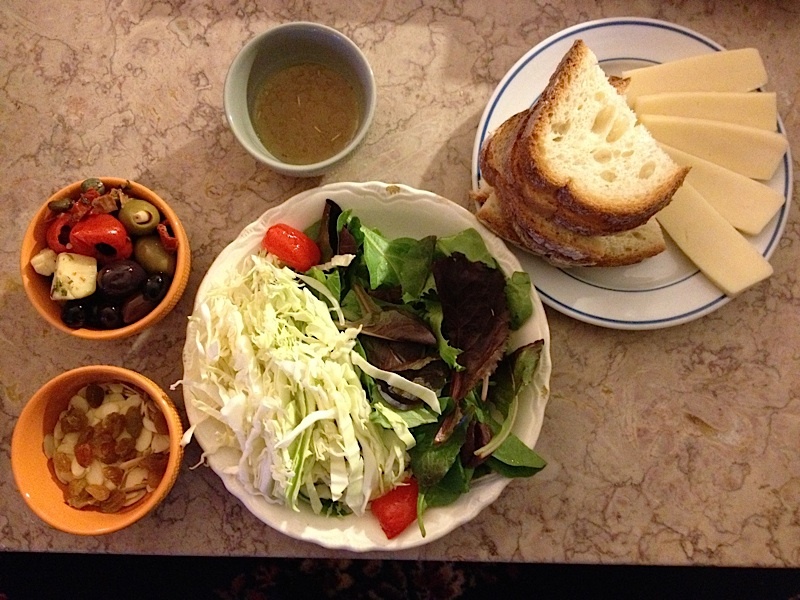 Cabbage and mixed-greens salad with Oxyporium dressing; and of course some bread and cheese. The main course, awaiting my test subjects…I mean, dinner guests. 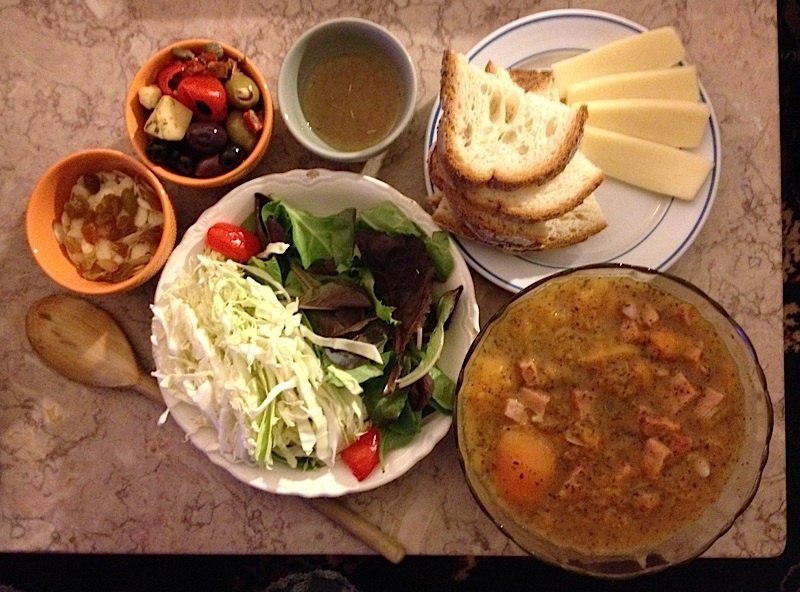 I think the ham made the stew too salty, without contributing much to the taste. Maybe this stew is better as a side to a meat dish!